Posted in Travel & Exploration and tagged as Photography, Thursday Doors. Great texture and colour, and the lamp adds a nice touch. Barns have great, rustic doors-each unique from the weathering that occurs over time. Love them all. Could not agree more. I love looking for (and photographing!) old barns. Have admired them since I was in high school. 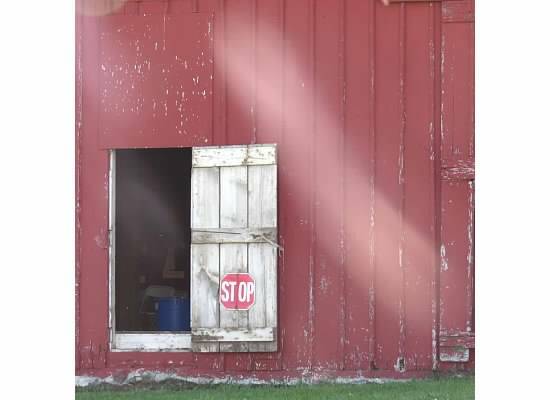 This one is located on my husband’s cousin’s property in rural Michigan. Here’s a link with some other shots if you’re interested. And thanks for looking!!! Thx for this link! Will explore. Great picture. But I would have been tempted to lose the lamp and the bottom of the frame, by cropping it down. The eye is drawn to the gap in the planks and the rail above the doors. What’s inside?? ?